A lot of them are, but maybe we should make a new thread about knife violence in Britain. 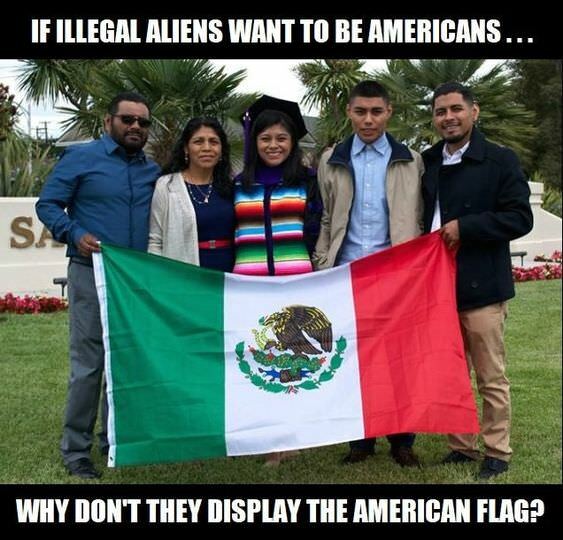 I love how they're waving the Honduras flag, if it was so great, why are they demanding entry into the USA? But now Canada — and specifically, Quebec — can’t afford to feed, shelter, care for, and support countless refugees. The schools are overloaded and the immigration system is backed up. And thanks to a loophole in its immigration laws, Canada can’t get rid of them; if you claim protected status once you make it onto Canadian soil, the government, it seems, can’t deport you until it’s given you a fair hearing, a process that can take up to two years. So instead of reforming its own laws, Canada, whose Prime Minister once excoriated President Donald Trump for Trump’s strict interpretation of American immigration laws, wants the U.S. to be even stricter in extending tourist visas so that Canada doesn’t have to admit it has a problem and either close or regulate its own borders. I bet that fire hoses would clear the wall and back them away! Yes, we are the laughing stock of the world. "Poor refugees" drop highly expensive smart phones, lap tops, etc, a few minutes before they cross the border. And our Prime Idiot Minister is welcoming all of them in. Won't be long before you see true able-bodied Canadians walking across the border to the U.S of A.
when he gave that program an end date, it wasn't because he hates anybody, it was to force Congress to pass a law to permanently deal with the issue, and they were almost there! make no mistake, the Democrats didn't do them any favors! As a matter of fact, Squirt, the Dems/Liberals aren't working for the people who elected them. Just a little add-on to make a difference between refugees, emigrants and out and out illegals. People who flee war-torn countries to save themselves and their families have a right to ask for refuge. People who actually apply for permanent residence in a country other than their own are most welcome if they qualify. People who have enough money to fly to New York from Nigeria, Somalia, South America and come across on foot as "so-called refugees" should be hand-cuffed, loaded on a bus and brought back to the airport and flown back on a cargo plane. what kind of message was sent by 150-200 people rushing a port of entry demanding they be let in? > Our hard earned money that is taxed at work. > Take bus, see employment folk. > Say I need go see Welfare. > Medicaid it keep you healthy! > Thanks to you, TAXPAYER dummy. > I buy big house with welfare bucks. > More welfare checks, it gets better! > But neighbor's patience wearing thin. > In my yard I put a tent. > But they, too, draw welfare cash! > Welfare pay for baby feeding. > Kids need dentist? Wife need pills? > We get free! We got no bills! > To keep welfare running here. > We think America darn good place! > Too darn good for white man race. > Got lots of room in Mexico!